If you can't get enough of what you see on the blog, there's more! 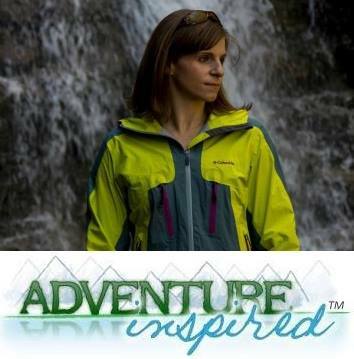 Founder and Editor Katie Levy is part of Sierra Trading Post's #TeamSierra Blogger Network, is responsible for the monthly highlight reel on Cairn's website, and has been a contributor to the Pocket Ranger blog since 2012. She's also done a handful of print publications and loves sharing her passion for playing outside anywhere she can. Sierra Trading Post #TeamSierra Blogger Network - Nearly 20 articles on topics ranging from how not to die while mountain biking to outdoorsy Halloween costumes, fall camping tips, the best exercises for hiking, and more. Pocket Ranger Blog (Parks by Nature Network) - Over 30 articles, contributed monthly, on topics ranging from hiking trip reports across the United States to homemade fire starters, winter sports, attributes of the ideal backpacking trip partner, lessons for beginner campers. and more! Liftopia Blog - Articles themed around fall training for stronger skiing, pre-season skiing workouts, off-season skiing workouts, upping your upper body game, and what not to do at the mountain bike park. Eastern Mountain Sports Blog - Articles related to why normal-sized adventures are awesome and how to prepare for overnight backpacking trips. Trek Tech Gear Review Website - Dozens of pieces of gear and apparel reviewed for one of the top gear review blogs on the internet. Active Junky Blog - Articles on top picks for breathable protection, fall backpacking, how to start adventure racing, and general gear reviews like the Merrell Women's ProTerra Vim Sport Shoe for an online shopping community. Other contributions include Outdoor Informer, Pemba Serves, the In Ice Axe We Trust (IIAWT) Podcast, and Section Hiker. Toyota Cruisers and Trucks Magazine - Article on how to choose a sleeping back in the Fall 2015 issue and three summer road trips in the April 2015 issue.